Law Brook Farm Cottage set in a area of outstanding natural beauty. Property 7: Law Brook Farm Cottage set in a area of outstanding natural beauty. The Old Wash Kitchen, Holmfirth. Cosy, quirky, 2 bedroom holiday cottage for 4. Property 10: The Old Wash Kitchen, Holmfirth. Cosy, quirky, 2 bedroom holiday cottage for 4. Luxury Barn Conversion, Beams, 2 Lounges, Sauna, Cast Iron Spiral Stairs. Property 29: Luxury Barn Conversion, Beams, 2 Lounges, Sauna, Cast Iron Spiral Stairs. Property 30: Utterly wonderful cottage in the heart of the picturesque village of Litton. Stunning location with fantastic walking, mountain-biking, wildlife - and wifi. Property 36: Stunning location with fantastic walking, mountain-biking, wildlife - and wifi. Cosy cottage central village location with own courtyard & original features. Property 37: Cosy cottage central village location with own courtyard & original features. 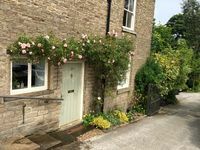 Tranquil Period Cottage On The Edge Of Tideswell, 5 mins stroll to centre. Property 46: Tranquil Period Cottage On The Edge Of Tideswell, 5 mins stroll to centre.